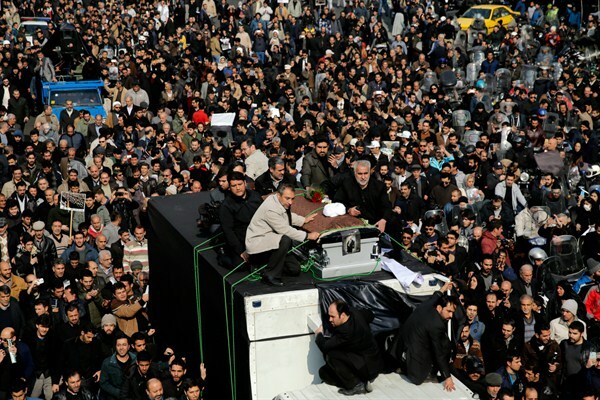 The coffin of former Iranian President Akbar Hashemi Rafsanjani is surrounded by mourners during his funeral, Tehran, Iran, Jan. 10, 2017 (AP photo by Ebrahim Noroozi). In this week’s Trend Lines podcast, WPR’s editor-in-chief, Judah Grunstein, and senior editor, Frederick Deknatel, discuss the potential dangers and opportunities of U.S. President Donald Trump’s foreign policy agenda. For the Report, Mohsen Milani talks about former President Akbar Hashemi Rafsanjani’s lasting influence on Iranian politics. Listeners of the Trend Lines podcast who would like to read more from World Politics Review can sign up for our free twice-weekly email newsletter here. To give feedback or submit questions, email us at podcast@worldpoliticsreview.com.